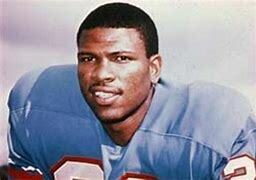 In “In the Locker Room with Ken Houston”, Texas Sports Hall of Famer KEN HOUSTON discusses his life and storied NFL career with the Houston Oilers and Washington Redskins. Hear him share new stories about his famous play stopping Walt Garrison of the Dallas Cowboys on Monday Night Football, his growing up in Lufkin, TX, and how a college football practice nearly ended his career before it started. This podcast also features commentary from Houston Chronicle writer John McClain.